The Child of the Child King? | MCMANNES...INTO DARKNESS! The Child of the Child King? Egyptian scientists are carrying out DNA tests on two mummified fetuses found in the tomb of King Tutankhamun to determine whether they are the young pharaoh’s offspring, the antiquities authority said Wednesday. The two tiny female fetuses, between five to seven months in gestational age, were found in King Tut’s tomb in Luxor when it was dissevered in 1922. DNA samples from the fetuses “will be compared to each other, along with those of the mummy of King Tutankhamun,” the head of the Supreme Council of Antiquities, Zahi Hawass, said in a statement. The testing is part of a wider program to check the DNA of hundreds of mummies to determine their identities and family relations. Hawass said the program could help determine Tutankhamun’s family lineage, which has long been a source of mystery among Egyptologists. The identity of Tut’s parents is not firmly known. Many experts believe he is the son of Akhenaten, the 18th Dynasty pharaoh who tried to introduce monotheism to ancient Egypt, and one of Akhenaten’s queens, Kiya. But others have suggested he was the son of a lesser known pharaoh who followed Akhenaten. Scholars believe that at age 12, Tutankhamun married Ankhesenamun — a daughter of Akhenaten by his better known wife Nefertiti — but the couple had no surviving children. There has been no archaeological evidence that Tut, who died around the age of 19 under mysterious circumstances over 3,000 years ago, left any offspring. 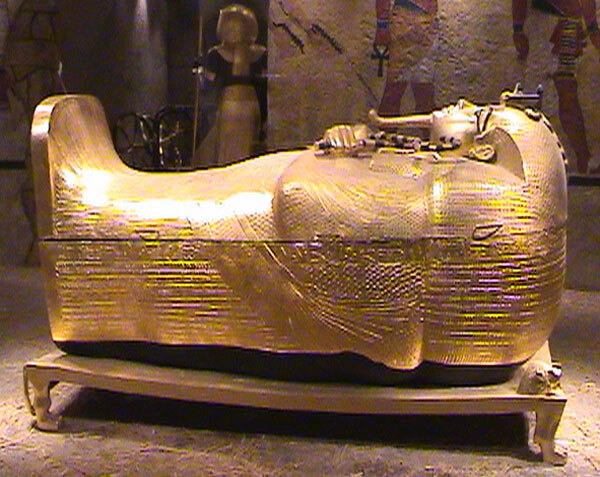 The council said that if the tiny mummies are unrelated to Tut, they may have been placed in his tomb to allow him to “live as a newborn in the afterlife.” Ashraf Selim, a radiologist and member of the Egyptian team, said the tests could take several months. So far, the team has carried out CT scans on the two fetuses and taken samples for DNA tests. “We want to find out the truth and facts relevant to the history of these kings,” Selim told The Associated Press. Since they were found in King Tut’s tomb, the mummified fetuses were kept in storage at the Cairo School of Medicine and were never publicly displayed or studied, Selim said. 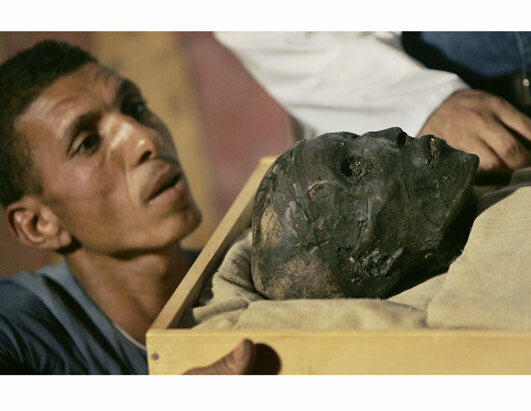 One of his top goals is to find the mummy of Nefertiti, the queen legendary for her beauty. Abdel-Halim Nour el-Deen, a former head of the council and a leading Egyptologist said DNA testing on mummies thousands of years old is very difficult. “It is doubtful that it could produce a scientific result to determine such important issues such as the lineage of pharaohs,” Nour el-Deen told the AP. Nour el-Deen also criticized the antiquities authority for not making public the results of the tests already carried out. Posted on August 6, 2008, in Archaeology, Oddities, Science, World News and tagged Akhenaten, Archaeology, DNA, Genealogy, King Tut. Bookmark the permalink. 8 Comments. LOL King Tut is NO big deal!! King Tut is a BIGG DEAL what are you talking about you got something crazy going thriugh your head if you think King Tut isn’t a big deal. It is a big deal because he wuz a young Pharaoh and at the age of maybe 16 or seventeen and no one knows how he died. It is a big deal because he was a young Pharaoh, and he died at the age of about 16/17 and no one Knows how he had died! king tut is a very……………………big deal in beacme10year……………….